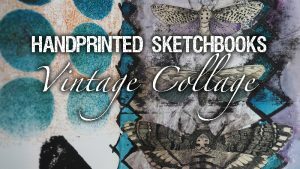 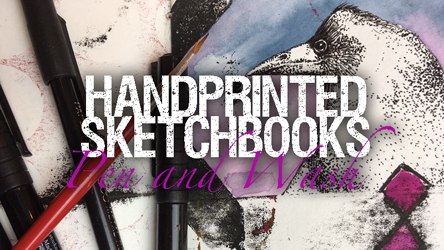 Create your own handprinted sketchbook. 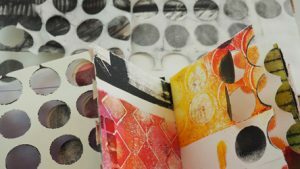 Bind your own handmade book from your printed papers. 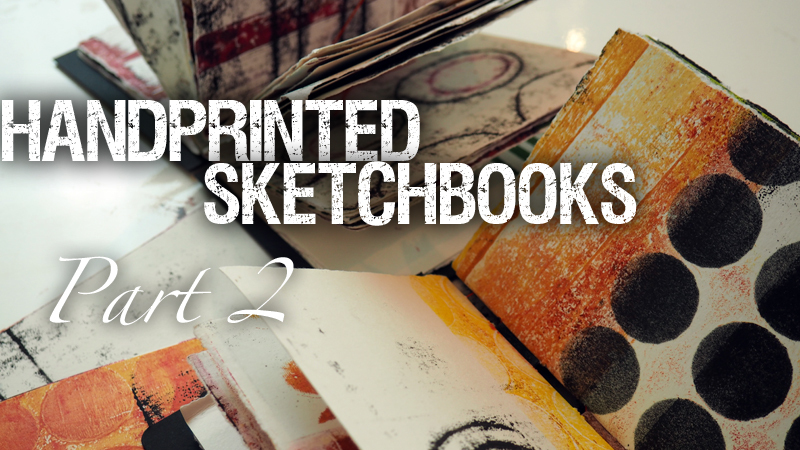 Use a knife to edit, select and play with the structure of your handprinted sketchbook. 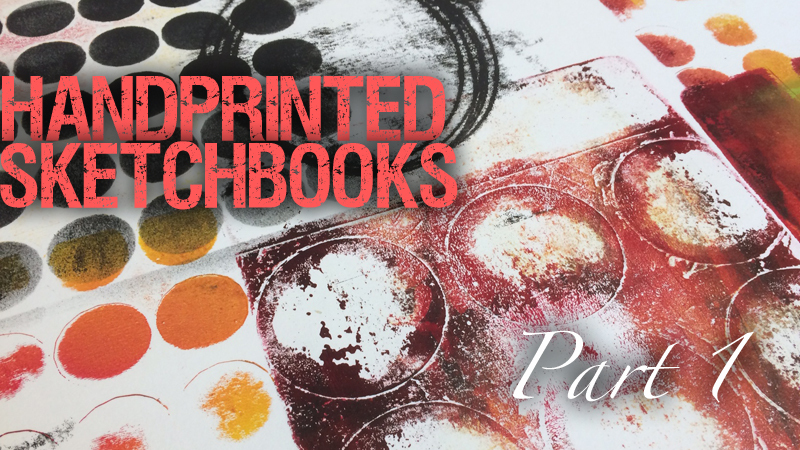 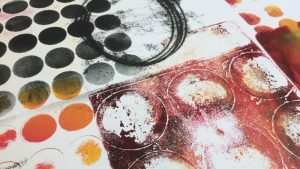 Linda’s working into her handprinted sketchbook. See how she’s exploiting the different characteristics of pens and using them with wash to add drawings to the pages. 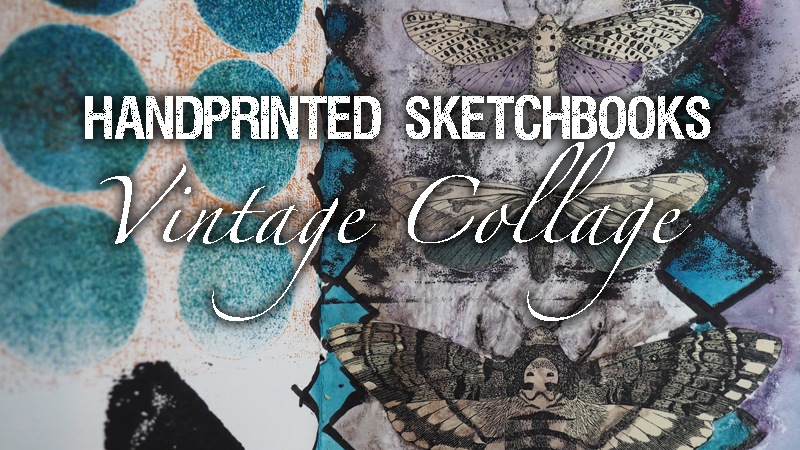 Add to your handprinted book with collage elements from old books or magazines. 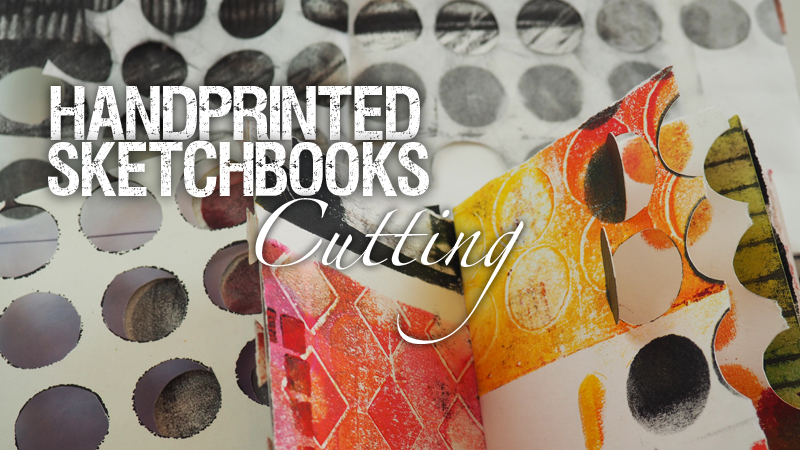 Don’t worry if you don’t want to cut up a vintage book, there’s always a solution! 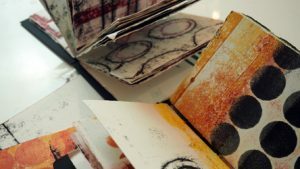 Linda demonstrates how to find a home for the collage motifs and how she’s integrating them to the page.